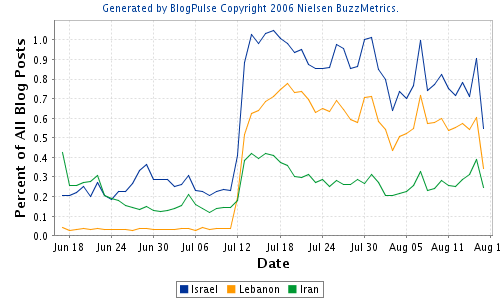 Analyzing data coming from blogs is nowadays possible through the use of tools such as BlogPulse. A good example of data analysis is given on Matthew’s blog. 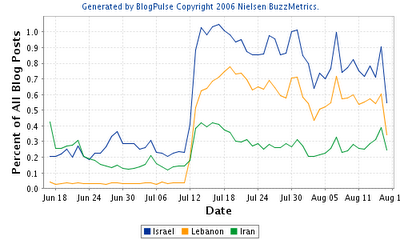 For example, we can compare the use (in blogs) of the two words Israel and Lebanon. It is interesting to notice how well they are related, and even more when comparing them with the term Iran. This plot clearly shows the relationship between usage of these terms in blogs all among the web.